Our ground-breaking and newly added Distance Learning course is a hybrid of live-streamed instruction and self-paced video instruction. We are one of the few schools in the state of Massachusetts approved to provide the Real Estate Salesperson Pre-Licensing course via distance learning. You will be required to attend approximately 70% of the course in a live-streamed setting during regular class hours with our award winning Head Instructor Dee Kumar. The remainder of your hours will be broken into pre-recorded video instruction, self-paced PowerPoint presentations, and automated quizzes/exams. During your instruction, you will have chat capabilities with a licensed instructor to help you feel that you are in the classroom but from the comfort of your own home! The RE Salesperson Online Distance Learning course combines streaming of live class sessions with self-paced video instruction. The price of the hybrid course includes a digital class book, sample exams/quizzes, and online course supplements. 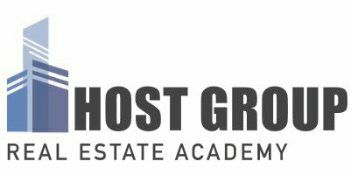 Anyone interested in becoming a licensed real estate salesperson needs to take this class, then pass the state exam. The Distance Learning Hybrid course is being offered to help accommodate those interested in becoming a licensed real estate salesperson but would have difficulty attending 40 hours of live instruction in our classroom located at 236 Huntington Ave. in Boston. This class completes the 40 hour pre-licensing requirement set by the Commonwealth of Massachusetts. The Real Estate Salesperson License allows one to work under a licensed Real Estate Broker to deal with sales, rentals, and commercial real estate transactions. Distance Streaming - MA Salesperson from Dee Kumar on Vimeo. The first step to become licensed as a salesperson is to complete forty hours of education at any one of the Board-approved real estate schools (Host Group is an approved MA Real Estate School - Code 1230). Host Group offers the 40-hour course in three formats: live classroom instruction, self-paced video course and the newly added Distance Learning program. Once your education is complete the school will provide you with a "Candidate Handbook" which will contain verification of your completed education, as well as instructions to make an appointment to take the salesperson examination with the Board's test administrator, PSI (a fee of $85 must be paid directly to PSI). All information needed to take the examination will be contained in the Candidate Handbook. Upon passing the examination, a licensing fee of $103-$150 must be paid to the Commonwealth of Massachusetts, then you will immediately be issued a 2-year salesperson license.